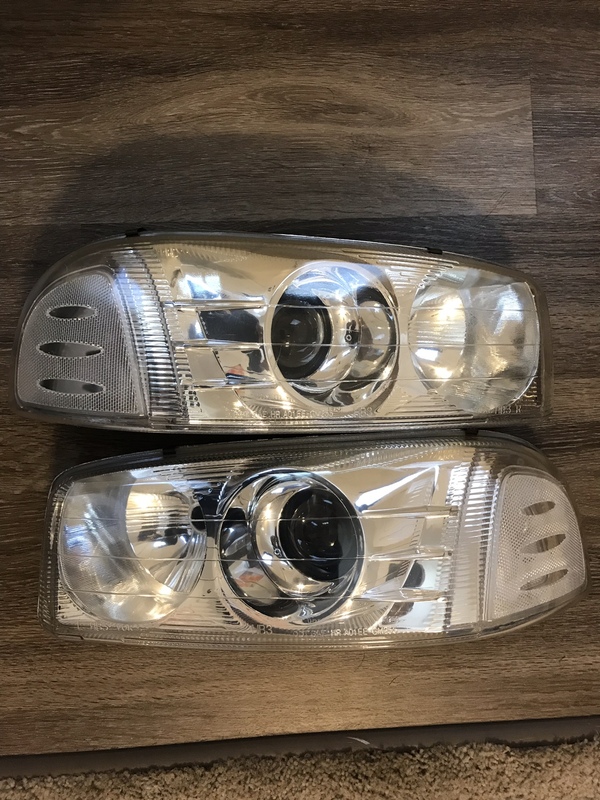 For Sale: Clear Retrofitted Denali Projectors and Clear APC Taillights. 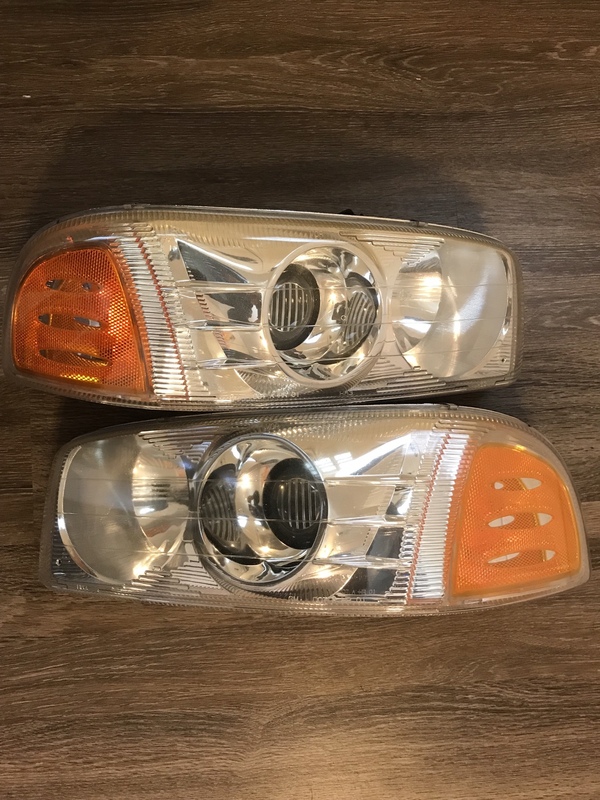 Discussion in 'For Sale / Trade Classifieds (Car & Truck Related ' started by slicksierra, Apr 1, 2019. Discontinued Clear Denali Style Projectors. Retrofitted in 2014 with Morimoto Mini H1 6.0’s. Lenses were refinished using Meguiars Two Step system. Driver’s side headlight bracket has been jb welded. Includes HID ballasts and 5000k bulbs ready to drop in and run. $350 obo. Buyer pays shipping. 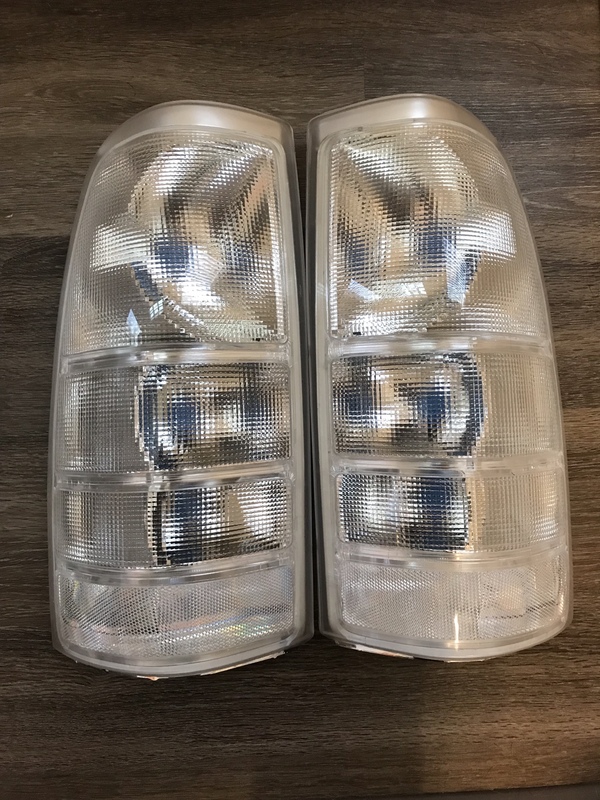 Clear APC 99-07 GMC Sierra Taillights. Bought a few months ago out of Cali, never mounted on my truck. Lenses are in great shape no scratches. $300 obo. Buyer pays shipping. $150 obo Buyer pays shipping. Not going on the Vmax? Been running like the most perfect set of eBay clears I’ve ever run, like the fitment is OEM, they don’t shake, they don’t fog up, they don’t have weird bulb caps. Found a good drop in LED kit that has somewhat of a decent beam pattern just keeping it simple.